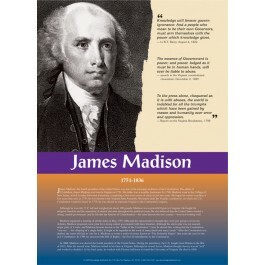 This educational poster features a striking black and white image of James Madison, along with three of his quotes, and a concise biography of his life and accomplishments. 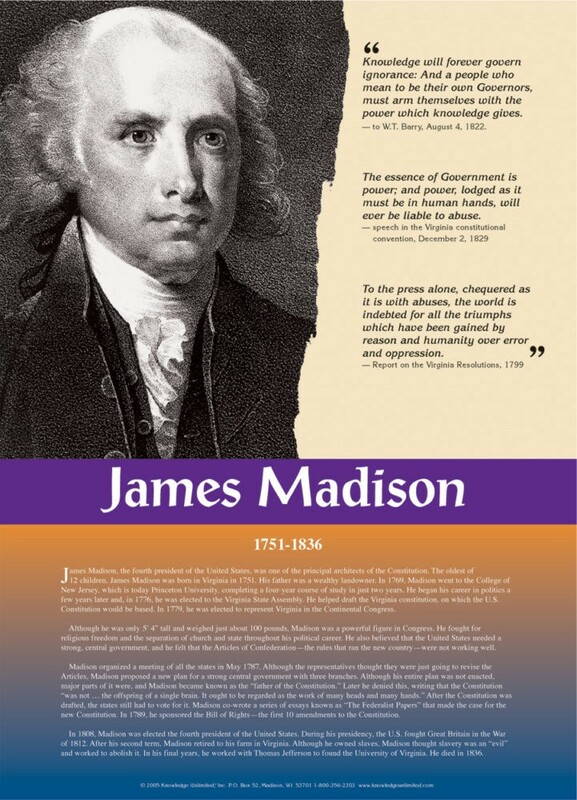 Madison became known as the "father of the Constitution" because so many of his ideas and writings were incorporated into the Constitution. In 1789, he sponsored the Bill of Rights, and in 1808, he became the fourth president of the United States.